The rate of mitosis of cancer cells is significantly higher than normal primary cells with increased metabolic needs, which in turn enhances the generation of reactive oxygen species (ROS) production. Higher ROS production is known to increase cancer cell dependence on ROS scavenging systems to counteract the increased ROS. Therapeutic options which selectively modulate the levels of intracellular ROS in cancers are likely candidates for drug discovery. Docetaxel (DTX) has demonstrated antitumor activity in preclinical and clinical studies. It is thought that DTX induces cell death through excessive ROS production and increased Ca2+ entry. The Ca2+ permeable TRPM2 channel is activated by ROS. Selenium (Se) has been previously used to stimulate apoptosis for the treatment of glioblastoma cells resistant to DTX. However, the potential mechanism(s) of the additive effect of DTX on TRPM2 channels in cancer cells remains unclear. The aim of this study was to evaluate the effect of combination therapy of DTX and Se on activation of TRPM2 in DBTRG glioblastoma cells. DBTRG cells were divided into four treatment groups: control, DTX (10 nM for 10 h), Se (1 μM for 10 h), and DTX+Se. Our study showed that apoptosis (Annexin V and propidium iodide), mitochondrial membrane depolarization (JC1), and ROS production levels were increased in DBTRG cells following treatment with Se and DTX respectively. Cell number and viability, and the levels of apoptosis, JC1, ROS, and [Ca2+]i, induced by DTX, were further increased following addition of Se. We also observed an additive increase in the activation of the NAD-dependent DNA repair enzyme poly (ADP-ribose) polymerase-1 (PARP-1) activity, which was accompanied by a decline in its essential substrate NAD+. As well, the Se- and DTX-induced increases in intracellular Ca2+ florescence intensity were decreased following treatment with the TRPM2 antagonist N-(p-amylcinnamoyl) anthranilic acid (ACA). 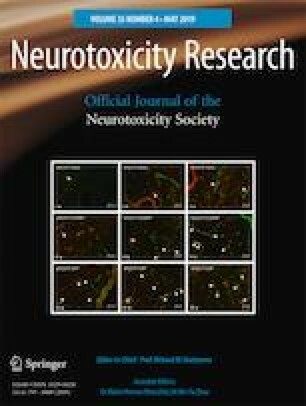 Therefore, combination therapy with Se and DTX may represent an effective strategy for the treatment of glioblastoma cells and may be associated with TRPM2-mediated increases in oxidative stress and [Ca2+]i. The authors wish to thank technician Hulusi Gül (BSN Health, Analysis and Innovation Ltd. Inc. Teknokent, Isparta, Turkey) for their help in performing cell number and cell viability analyses. The study was supported by BSN Health, Analysis and Innovation Ltd. Inc. Teknokent, Isparta, Turkey (Project No: 2018-02). KE, MN, and NB formulated the present hypothesis and MN and NB were responsible for writing the report. MN performed the confocal analyses and the LC-MS analysis. ZSA was responsible for analysis of the data. KE, ZSA, and NB made critical revision of the manuscript.